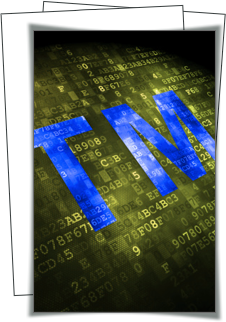 A trademark can be many things capable of distinguishing your goods or services from those of another. Most trademarks are words, but some are graphic designs (such as logos, product packaging, shapes of containers, restaurant themes, etc. ), and there are even some trademarks that include sounds or smells. A trademark owner acquires rights in a trademark by using the mark in interstate commerce, but there are important advantages to filing a federal registration, including: a right to assistance from the US Customs Service to prevent importation of infringing goods, a presumption in lawsuits that you own the mark and that the mark is valid, immunity to state trademark dilution claims, and protection in a greater geographical area (i.e., the entire United States, instead of just your state or where you are actually using the mark and are foreseeably likely to expand). A person acquires rights in a mark by being the first to use it in commerce for that good or service and then continuing to use it. You may apply for a mark before actually using it, but you will be required to start using it before the U.S. Patent and Trademark Office will issue a registration. To be registrable, a mark needs to be “distinctive.” This means, among other things, that it should not “merely describe” your goods or services. So, in general, the more creative, the better. Using the mark “RED APPLES” for baskets of red apples is likely not the best idea. There is sometimes a tug-of-war between a business’s legal team, which wants to select a more legally protectable mark, and the marketing team, which wants the mark to immediately convey to the consumer what the product or service is. Our experience in trademark selection and use can help you strike the right balance. Marks that are merely descriptive can sometimes be registered on the supplemental register, which affords some, but not all, of the rights of the principal register. After a five-year period of continuous use, the mark can sometimes be registered on the principal register to obtain all the benefits of federal registration.